Wednesday evening Governor Justice laid out his vision for the 2018 legislative session and beyond in his second State of the State address. If you missed it watch it here if you want some good ‘ol, aw shucks entertainment from the “Coach,” as he’s now requested to be called. He wrapped up his unscripted speech with a ‘Go, fight, win’ cheer with his girls basketball team surrounding him. Humor aside, Governor Justice outlined a much rosier picture of the state’s economy due to a number of factors. He proposed much needed pay increases (albeit 1%/year) for state employees with additional years of increases targeting teachers and correctional officers. He also mentioned yet another tax cut for business – reducing the inventory and equipment property tax by some $20 million/year until its phased out. This is revenue that flows directly into the counties to pay for schools, libraries, police and fire protection, you get it. These cuts wouldn’t directly affect the state’s budget and neither the governor, nor legislative leadership who parrot this cut, have suggested any way to replace the counties’ lost revenue. His proposal will put us on the road to creating future budget deficits for county governments. Keep up with tax and budget issues with the experts at WV Center on Budget and Policy. Calling the recently signed memorandum of understanding with China Energy a “true Trump card” he reminded the audience of his close friendship with the President and that he was counting on Trump to see the deal through. In other references to the oil and gas industry, he mentioned the need for approving “joint development” and other reforms supported by the industry to force mineral owners into pooling without their agreement. As of Friday (day three of the session), the Senate listed 269 bills introduced, while the House had a list of a whopping 550! Many of these were ‘carryovers’ reintroduced from the previous session but more will be added daily. This is where we usually do a plug for the WV Legislature’s excellent website where one can look up bills, set up a personal password-protected bill list, and listen to or watch live video of committee meetings and floor sessions. 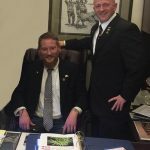 I don’t have to write about it this year as our allies at the HUB have already posted a great overview on how to keep up with legislative antics including links to the daily WVPB show, The Legislature Today. Our state newspaper, the Charleston Gazette-Mail, has a great crew of reporters at the Capitol for the whole session and is a great source for legislative news. Want to engage with your elected officials and representatives in the Legislature more effectively? WV CAG and allies are hosting a series of Citizen Lobbyist trainings around the state. The first training is in Morgantown this Thursday. Check out our upcoming events for more details. This week the federal government gave the green light to states who want to add ‘work requirements’ for ‘able-bodied’ adults to receive Medicaid. This is actually a back-door way to cut folks off the program by blaming the victim. Many areas in West Virgina have little to no jobs available. When this was tried as a ‘pilot program’ in several counties for those receiving SNAP (food stamps) it did nothing to increase employment rates. It did significantly decrease enrollment and thereby increase hunger in those areas. Regardless of the DHHR’s own reports on the failure of this pilot, we expect another push by conservatives to pass work requirements on both of these life-saving programs. One example is of this is HB 4001, which would implement ‘asset tests’ and other devious ways to throw folks off the program. It’s been assigned to the House Health and Judiciary Committees. Watch for more information on this but it’s not too soon to begin contacting members of those committees in opposition to this scam. Medicaid is next. Stay tuned! 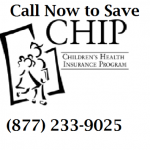 In the meantime, the Children’s Health Insurance Program (CHIP), is set to shut down in West Virginia at the end of next month if Congress fails to reauthorize the program. Contact your Representatives and ask them to pass a ‘clean’ reauthorization of this essential insurance program that covers tens of thousands in West Virginia. 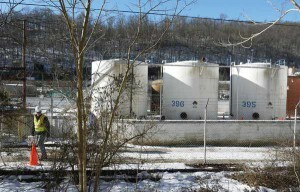 The start of the legislative session coincided with the anniversary of the the Freedom Industries chemical leak that contaminated the drinking water of more than 300,000 people in Charleston and surrounding areas on January 9, 2014. Four years later, settlement of a class action lawsuit filed in response to the spill moved closer to final approval during a hearing last week in U.S. District Court. Although it will be next month before the proposed settlement is finalized, affected residents and businesses are eligible to file claims for damages. 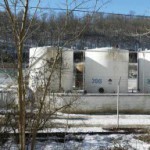 More information is available at https://www.wvwaterclaims.com/. The deadline to file claims is February 21, 2018. Following the water crisis, the unanimous passage of SB373 established the Public Water System Supply Study Commission to provide annual recommendations to the Legislature to protect the state’s drinking water supplies. The Commission’s fourth report was submitted to the Legislature on December 15, 2017. WV CAG joined allies in urging the Legislature to give the report and its recommendations ample consideration in the interest of advancing public policy protective of public health. Last week also saw the opening of the candidate filing period for the 2018 election. Candidates planning to run for office in the May primary and November general elections will need to file their certificate of announcement with the Secretary of State’s Elections Division or the county clerk’s office, depending on the office sought. The filing period closes Saturday, January 27. One U.S. Senate seat, all three U.S. House of Representatives seats, 17 state Senate seats and all 100 spots in the state House of Delegates will be up in November. With many important races on the ballot this year, it’s important to make sure you’re registered to vote and ready to vote. 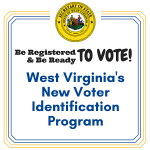 This year that means making sure you have your ID in addition to informing yourself about the issues and candidates, and getting yourself to the polls. Speaking of elections: When a political ad comes on TV, should the public get to know who is trying to influence their vote, who is praising and endorsing a candidate, or who is spreading rumors and maybe outright lies about a candidate? See Julie’s op-ed on the importance of common-sense transparency laws and the need for robust disclosure of political spending. We ended the week with some good news. The Federal Energy Regulatory Commission (FERC) denied FirstEnergy’s request to transfer ownership of the Pleasants Power Station its West Virginia subsidiaries. “In this decision, the FERC commissioners unanimously rejected a brazen attempt to force Mon Power and Potomac Edison customers to guarantee profits for FirstEnergy and its shareholders. This is a major victory for West Virginia customers, who would have likely paid hundreds of millions of dollars if FirstEnergy’s scheme had succeeded,” said Michael Soules, an Earthjustice attorney representing Solar United Neighbors of West Virginia and WV CAG. In December, Appalachian Power filed a settlement with advocacy groups, saying it will keep its existing energy efficiency and demand response programs in place through the end of 2019. The settlement came after staff for the WV Public Service Commission recommended the programs be discontinued. The settlement must still be approved by the PSC. Representing you, the citizens of West Virginia, at the Capitol is a 60-day marathon that burns through a lot of resources. We really appreciate those who have already mailed in a member renewal or donated on-line. Your contributions allow us to do the direct lobbying that foundation support will not permit. Please consider posting a check to 1500 Dixie Street, Charleston, WV 25311, or clicking here to donate on the web. Thanks in advance!